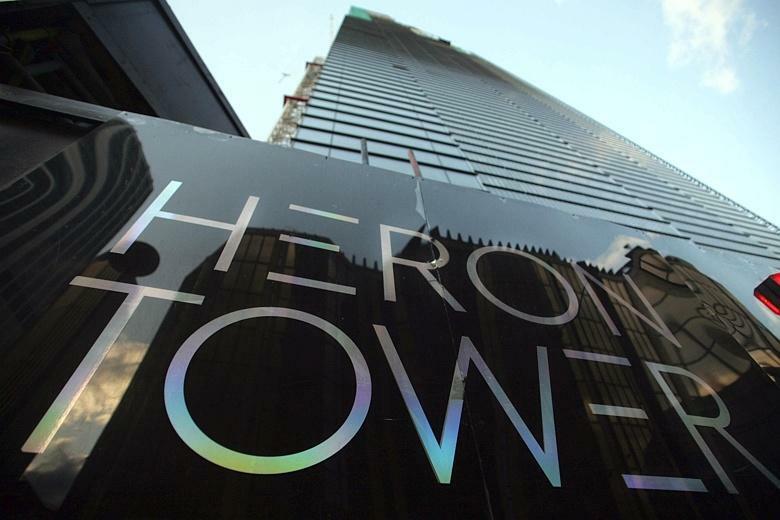 Capital World Markets, a City forex trader based in the prestigious Heron Tower in the heart of the City of London, has been raided over suspected fraud and money laundering and 13 staff arrested, police confirmed this morning. A team of about 15 officers, including dog handlers, descended on the offices of the firm, better known as CWM FX and seized computers and documents. Ten men and three women were arrested on the March 3 raid on suspicion of fraud by false representation, conspiracy to defraud and money laundering. Other office workers on the 21st floor were asked to leave whilst the CWM FX staff were led out of the back entrance to Heron Tower on Outwich Street where three police vans were waiting. City of London police have appealed for any investors in the firm’s managed funds offering five per cent interest a month to come forward. Detective Superintendent Maria Woodall, who is running the investigation, said they had arrested staff to put an immediate stop to suspected, “ongoing criminality” and to prevent anyone else investing in the five per cent funds. CWM FX have been raising their profile in recent months through a variety of sponsorship deals. The firm has been the “official forex trading partner” of Chelsea Football Club since January and was the headline sponsor of the CWM FX London Boat Show, where Craig Droste, its general manager and Anthony Constantinou, its chief executive met Princess Anne.